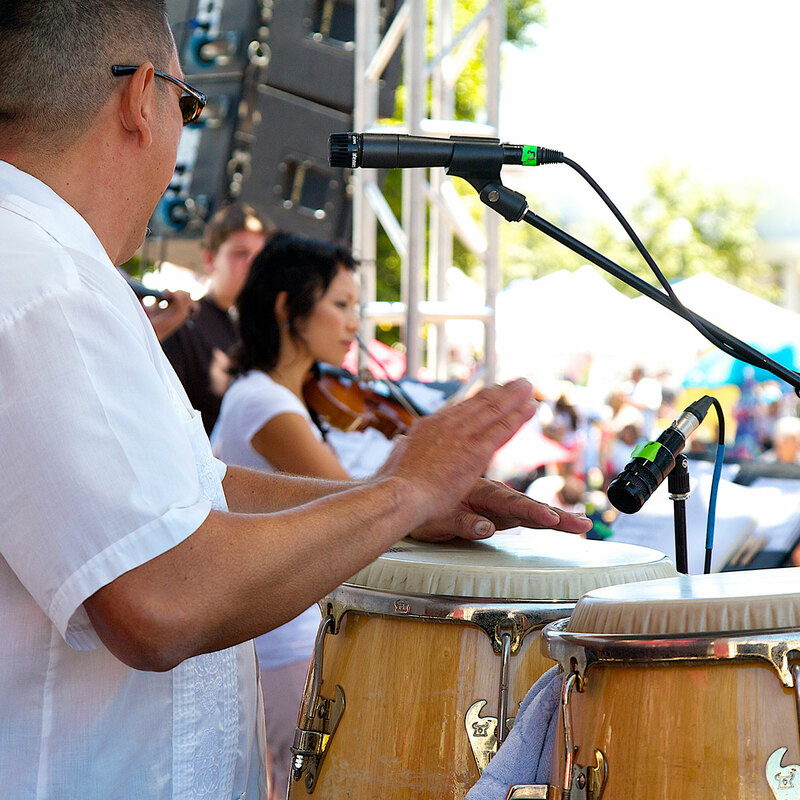 Be the first to know about band announcements, contests and salsa news! Learn to dance before this year's festival! 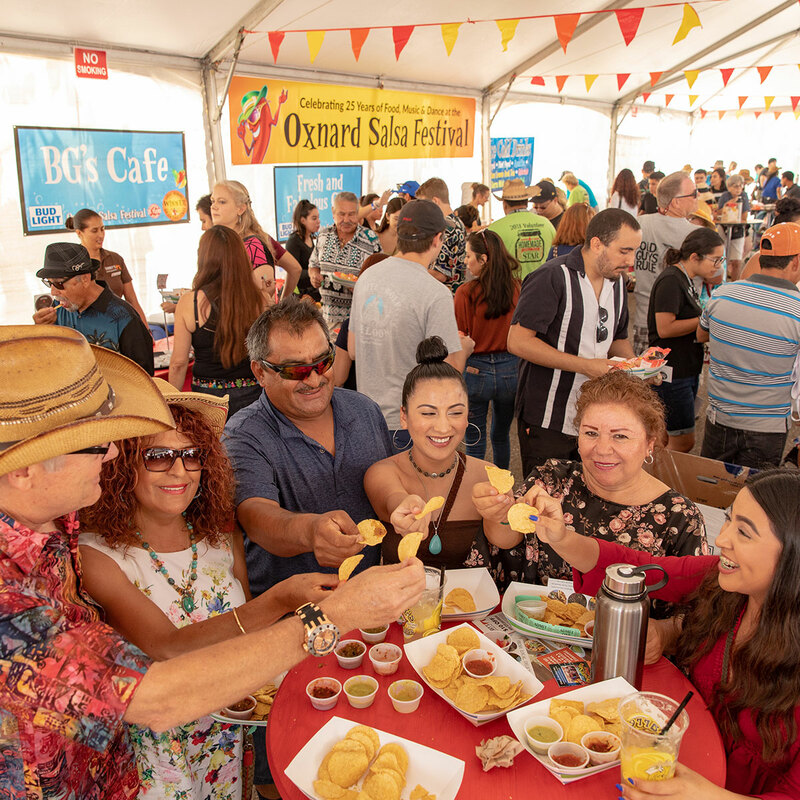 Find your favorite salsa in our tasting tent and stop by dozens of food vendors for mouthwatering food! Two stages, two epic days of entertainment featuring SoCal's hottest bands and our community stage. 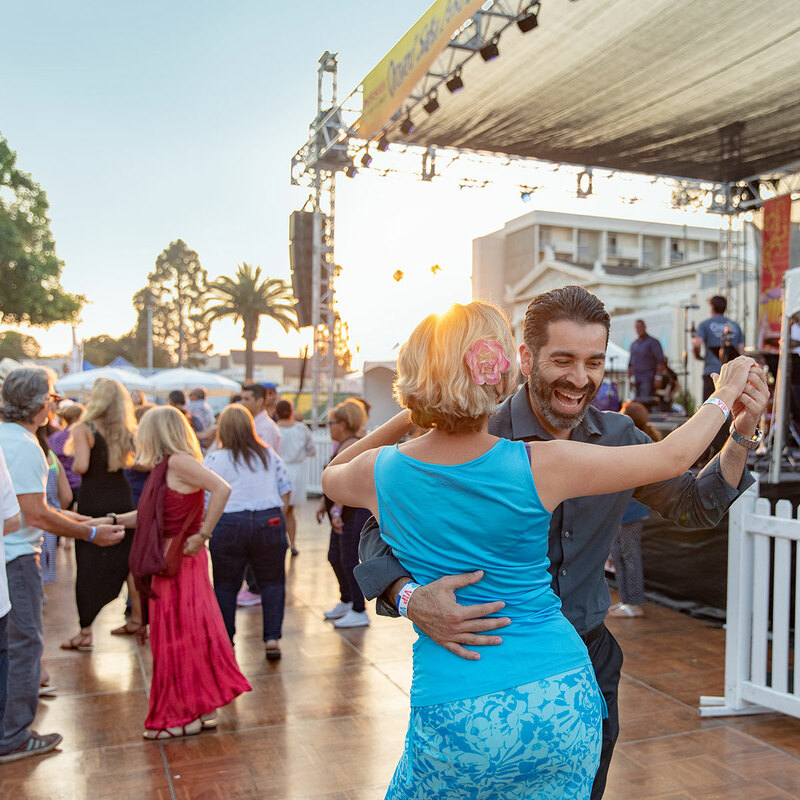 Get in the groove on our spacious 2,400 sq ft dance floor featuring 6 different salsa bands. 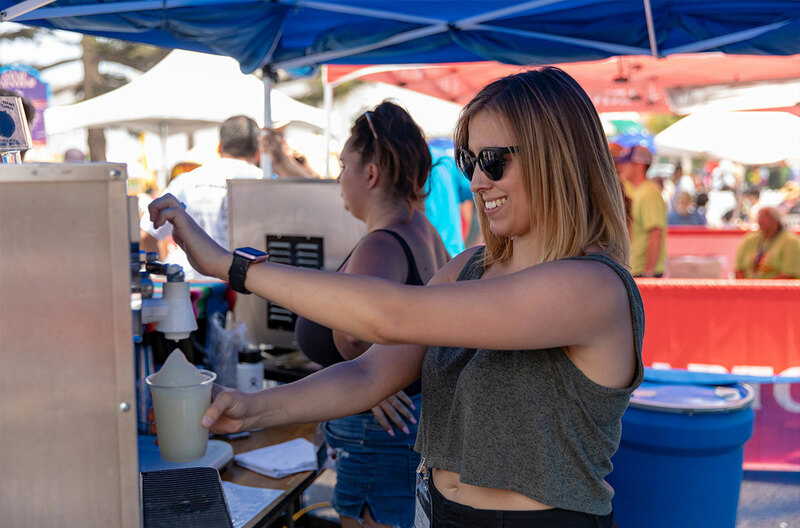 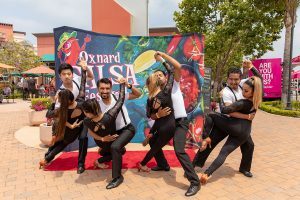 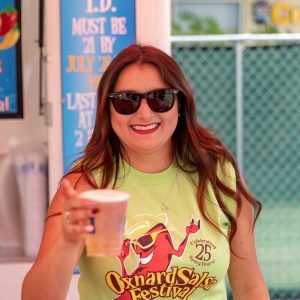 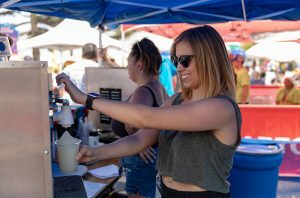 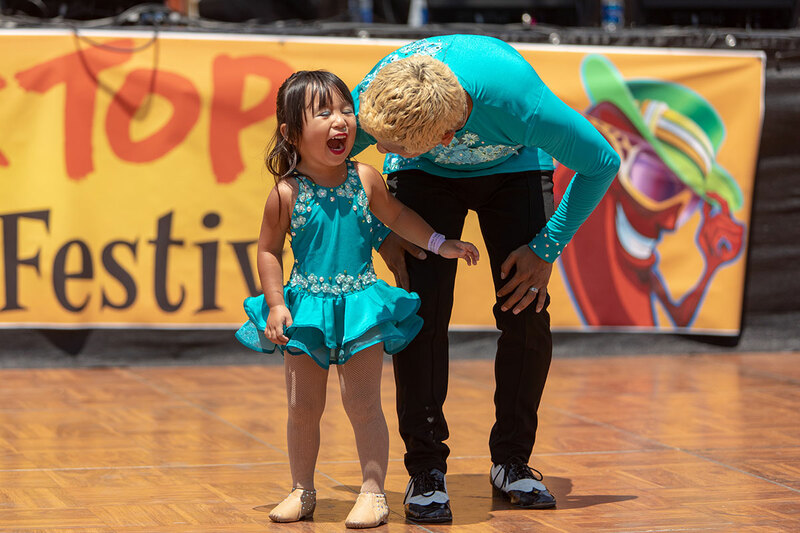 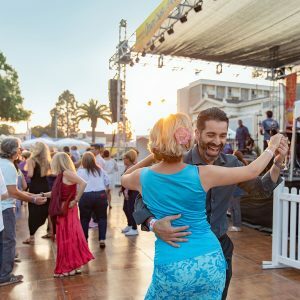 Join us for the Oxnard Salsa Festival July 27th and 28th, 2019! 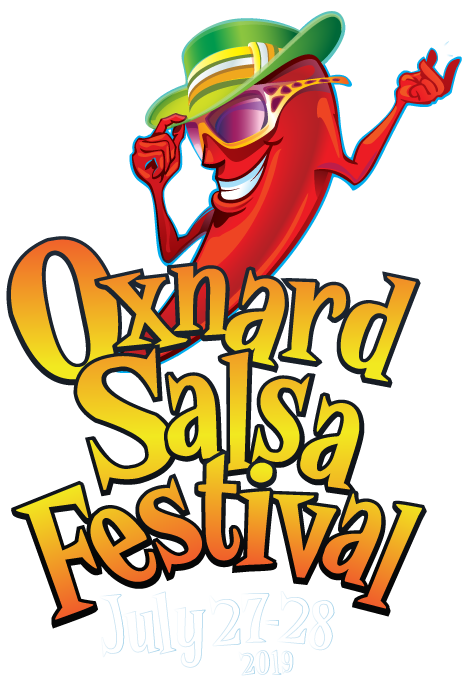 Enjoy salsa bands & salsa dancing, spicy foods & ice-cold drinks. 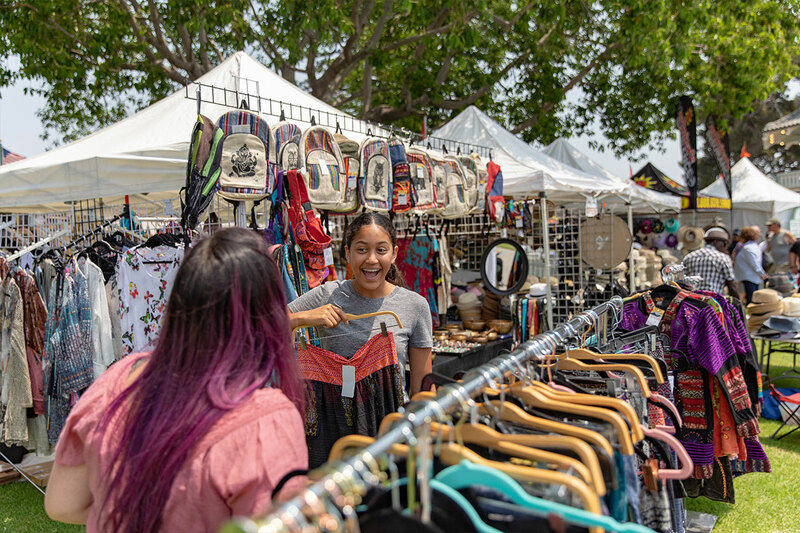 Drop by the Vendor Marketplace for artisan shopping and bring the little ones by the Kids Zone for rides, games and crafts. 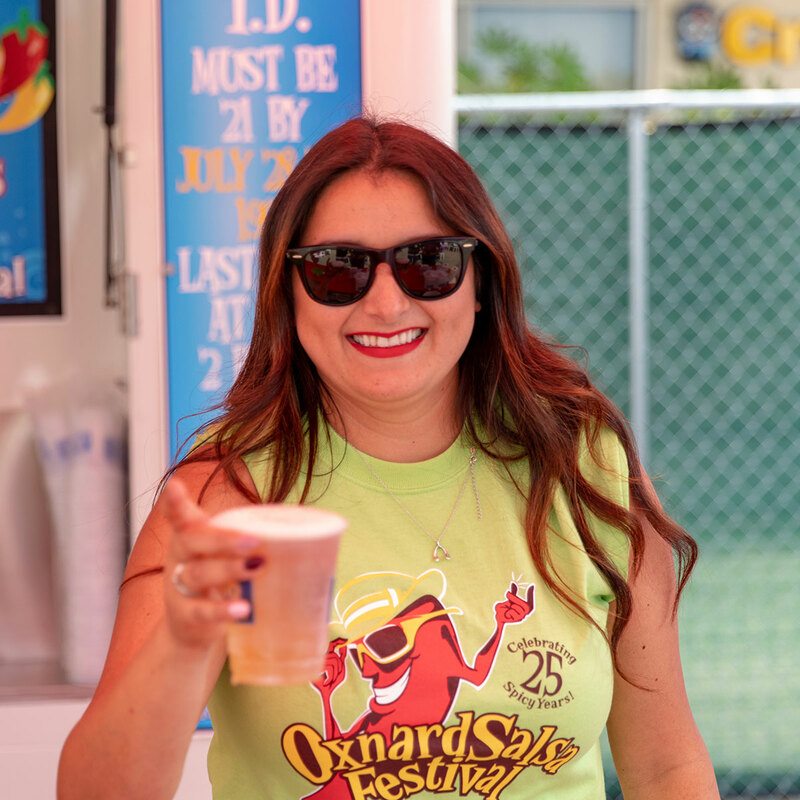 And of course, enjoy a cold beer or margarita while you salsa the day away! 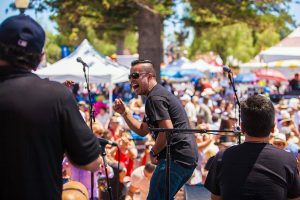 Our FIRST EVER Battle of the Bands contest. 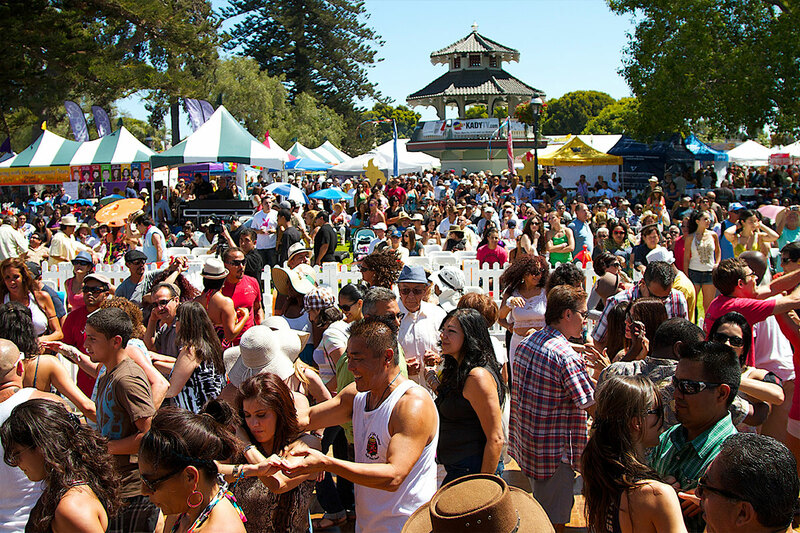 Vote for a chance to win a 4 pack of concert venue seating admission tickets! 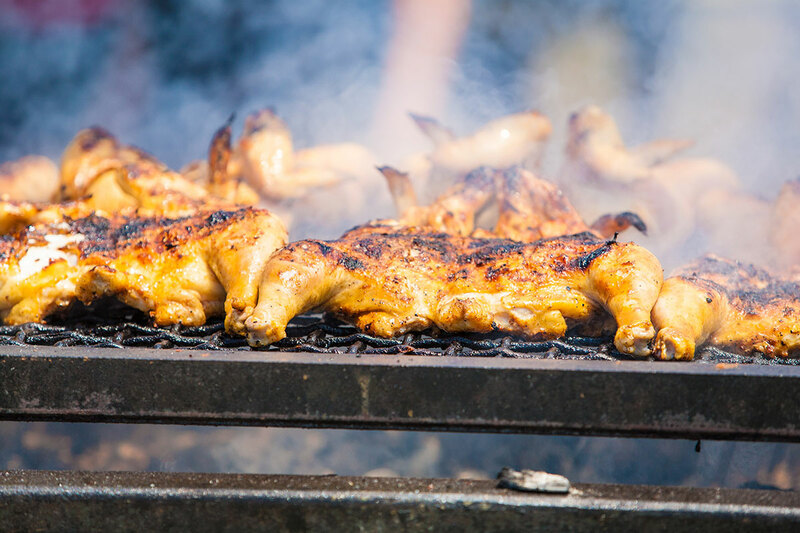 Sponsor the Summer's Spiciest Celebration! 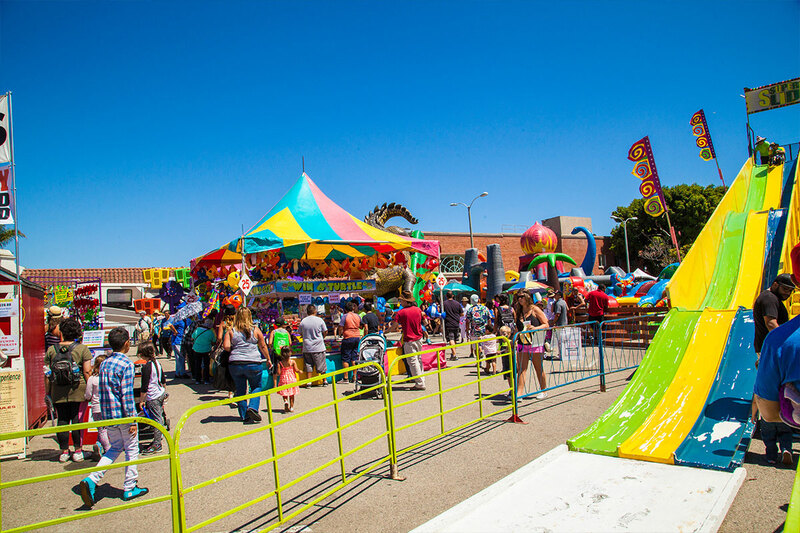 Establish your company's commitment to the community through a successful, award-winning community event! 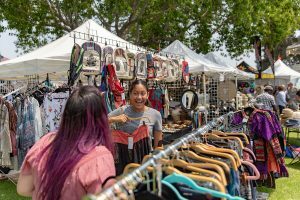 Open up shop with an interesting assortment of over 100 quality, fun vendors at this year's festival. 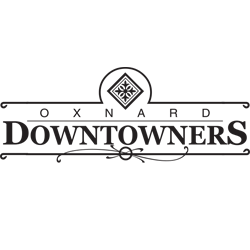 Applications open! 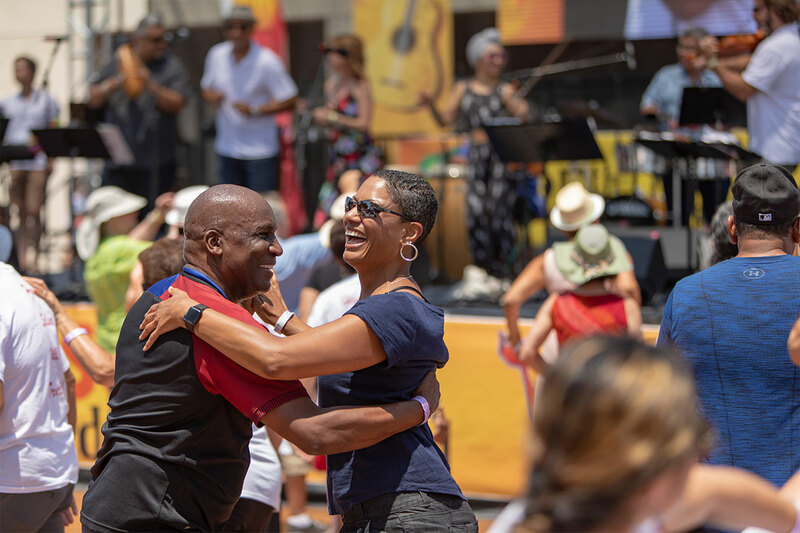 Make new friends with a short, fun four-hour shift as a Salsa volunteer, get free swag and tickets, and help your community! 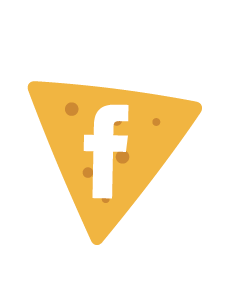 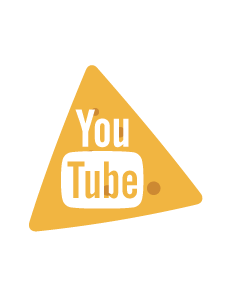 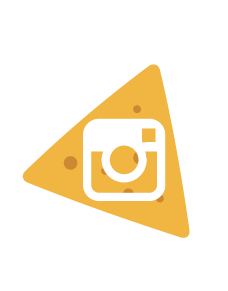 Bring the to Your Social Feed!